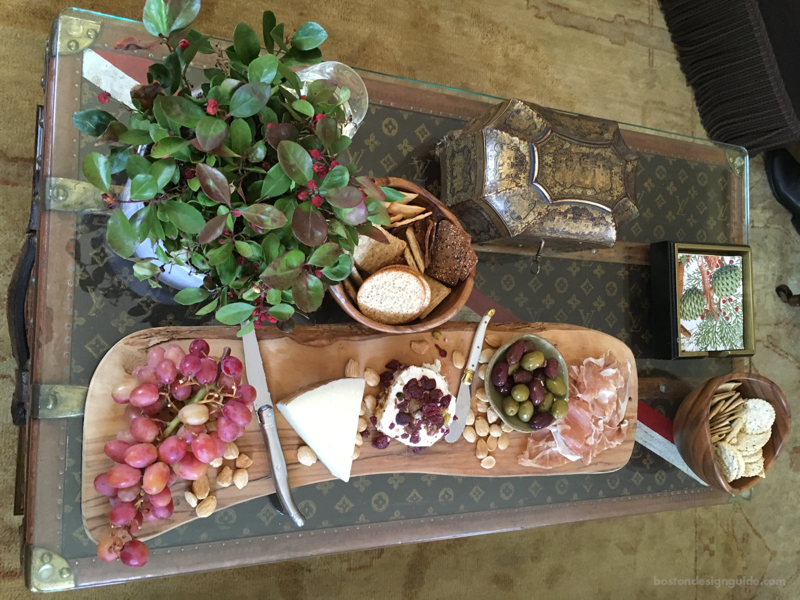 A well-turned cheeseboard is a go-to for me when I entertain. And I entertain a lot. 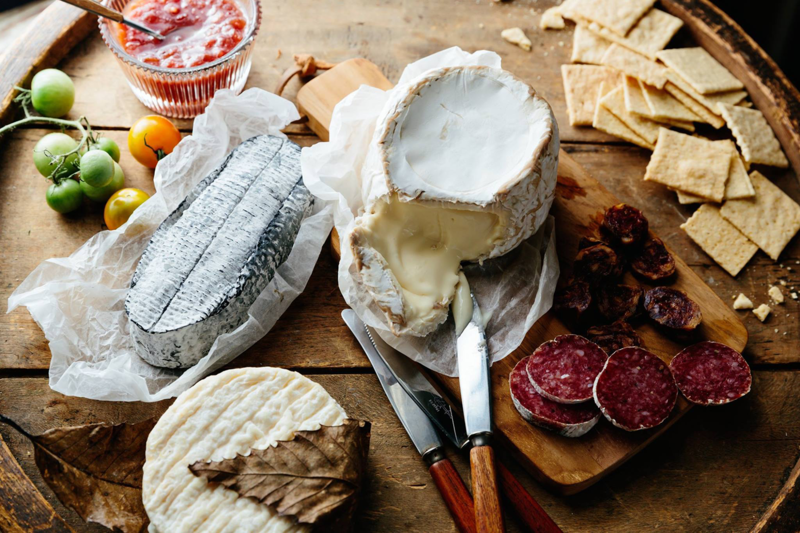 Whether it’s a planned luncheon for 12, a shared glass of eggnog and snacks with neighbors, or an impromptu cocktail catch-up with guests from out of town—a cheese board is a menu mainstay for me. From about mid-December on, I keep ingredients on hand, so when an opportunity for good cheer arises, I’m ready, not stressed. The best part about a delicious cheese board is that it can be ready at a moment’s notice. It doesn’t require an oven, just a little pre-planning. I like to keep my cheese boards simple and uncrowded, opting for high quality ingredients over quantity. 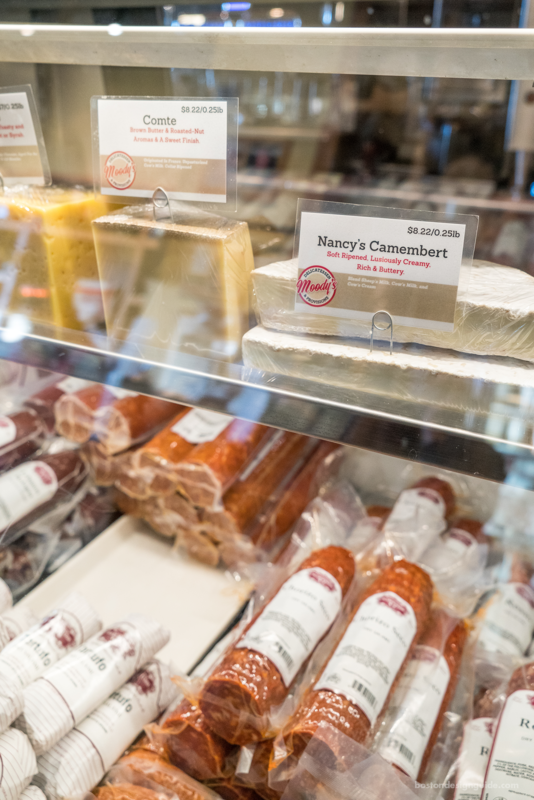 I am a regular at Moody’s Delicatessen and Provisions in Waltham for their unbelievable charcuterie and cheeses, as well as Wasik’s Cheese Shop in Wellesley, which never disappoints (the line was well out the door this week—my son commented you’d think they were selling Taylor Swift tickets, not their wildly popular curry apricot chutney). A Good Board: I like a wood or slate board that you can cut on that lets the elements take center stage. 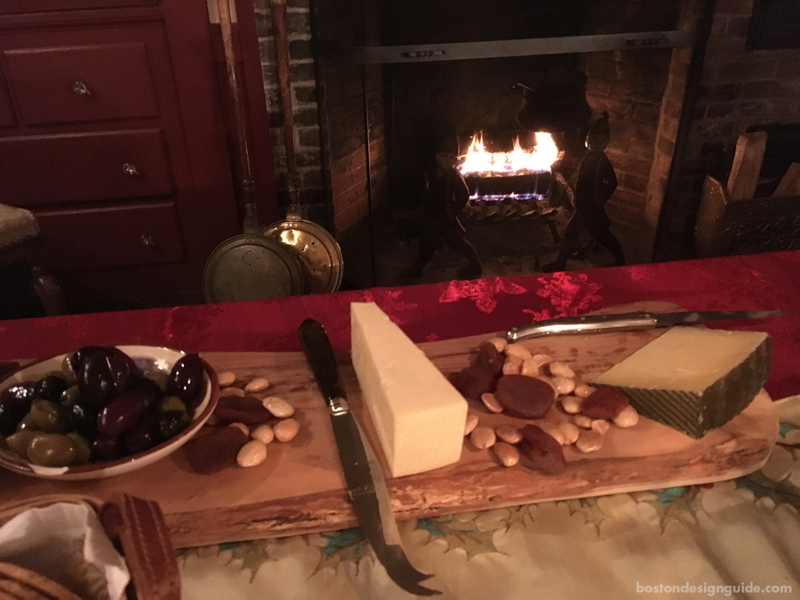 Wood has an organic natural quality that looks great fireside, but slate is also fun, given that you can provide chalk labels for your cheese selections. Cheese: You don’t really need more than two (tops three, if you just can’t choose); and I always do one hard and one soft. Soft: Go for a well-ripened wonderfully spreadable Triple Crème cheese. Bries are buttery and mild with a hint of salt, while Camemberts are earthier, and more intense. Goat cheeses are another good option, and more tart. I recently served one studded with cranberries and pistachios—delish! Semi-soft: “The stinkier the better,” so they say, and I have to agree. You can’t go wrong with Great Hill Blue, a non-homogenized raw milk blue cheese formed by hand in Marion, Massachusetts. Hard: I have a hard time moving beyond Manchego, but Wasik’s suggests Alpine and Aged Gouda and plates them for their cheese boards (and who are we to argue?). Recently, over at Moody’s, we devoured the Coastal Cheddar that graces their cheese and charcuterie board. Subtle and sweet, this cheese hails from Dorchester England and is aged for at least 15 months. Tip: Typically, aged cheddars are lactose free, making this a great option for guests with dietary concerns. 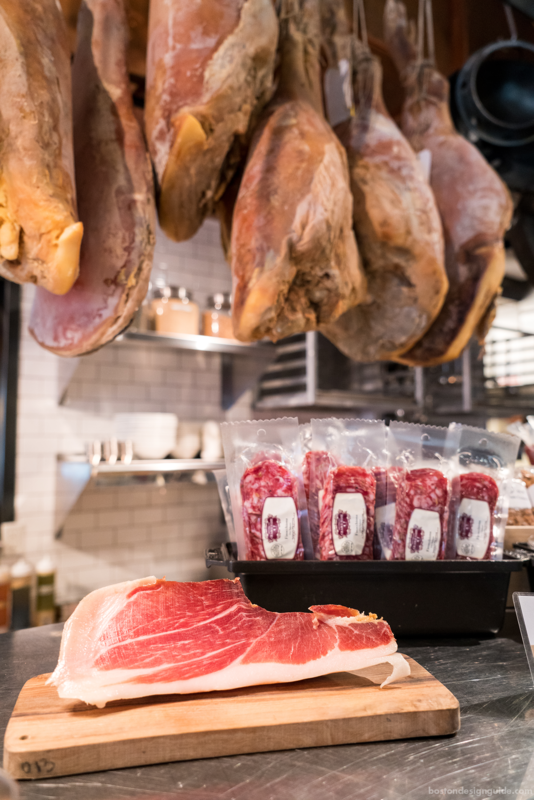 Charcuterie: A nest of melt-in-your mouth Prosciutto di Parma almost always has a place on my board or you can go with its equally heavenly Spanish rival—thinly-sliced Spanish Jamón Ibérico de Bellotta (available at Wasik’s). 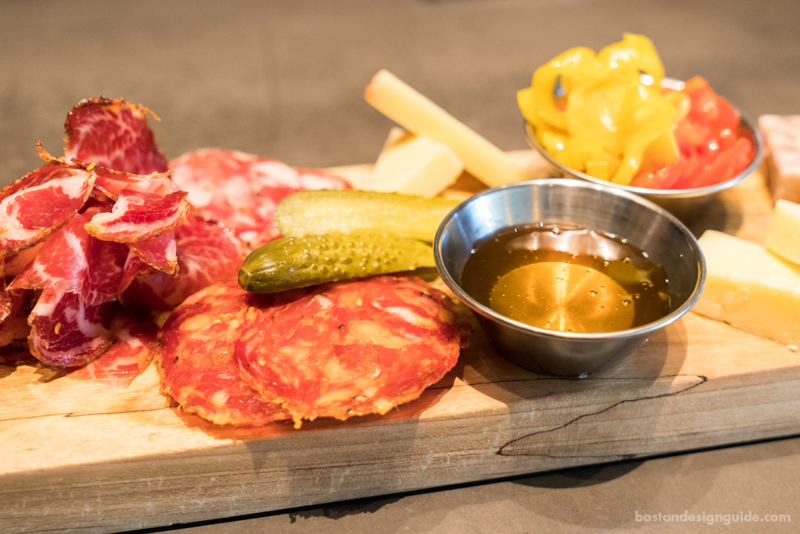 For a bolder choice, pick up Moody’s housemade coppa or loukaniko (the latter is spiked with fennel and Gran Marnier) or hot soppressata, which is piquant, and flavored with cayenne, chili paste and garlic. Accompaniments: I surround my meats and cheeses with sweet and savory companions that enhance the individual and combined flavors. I almost always set out a bowl of mixed olives, though many, like Moody’s, opt for cornichons. For fruit, fresh seedless red grapes and dried apricots get the nod, as does fig jam (prosciutto’s soul mate) or even peach preserves (try it with blue cheese). Sometimes I scatter Marcona almonds all over my board; it looks great visually and brings out the nuttiness of the cheeses. Crackers: There’s an array on the market today, and I like to do an assortment to munch on for the duration of the event. I have one must: each cracker should be spreadable and able to support what we stack on them. I often include table water crackers when I’m serving jam or chutney (it lets those flavors shine through), a more rustic seeded cracker and flavorful Raincoast Crisps (try the Rosemary Raisin Pecan). I also set out Almond Nut-Thins (in their own basket, of course) as a gluten-free option. All are good bets and don’t crumble under pressure.